We want to ride dinos together. Last night we dove headfirst into ARK: Survival Evolved, an open world survival game that mixes the futuristic and prehistoric. Players are dropped in a mysterious land littered with large towers of light, armed only in undergarments, you must survive a brutal world filled with dinosaurs and other prehistoric creatures. The early access game is built on the Unreal 4 Engine, and while it's gorgeous, it's in need of some serious optimization. Watch as Locke and I take you through the early parts of the game and some of the basics of what's needed for survival. 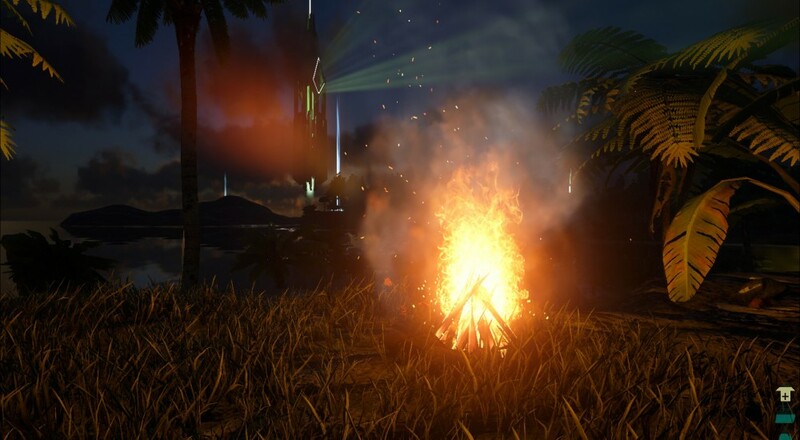 In terms of co-op the servers support up to 70 players at this time, and you can tribe together as you work to avoid being eaten alive. That said it's a bit early and a lot of tools aren't in place yet to aid in cooperative play. We'll be keeping an eye on this one for sure as there's a lot of potential here. The game is slated to hit Xbox One and PS4 on top of the PC release - hopefully later this year.